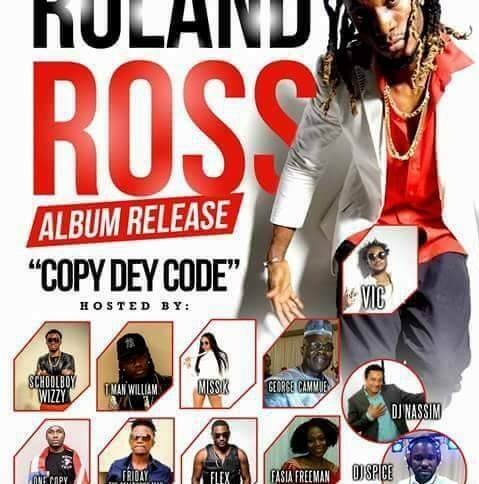 The Liberian Entertainment Awards Best Hipco artist, Roland Ross, released his album "Copy Dey Code" at Angel's Hall, 12222 Bissonnet St, Houston TX, on December 10, 2016. The artist bragged on social media that they were going to take Houston by storm during the event, but the only place that was taken over, was an empty room with few friends, and all supporting musicians missing from the event. Yep, another artist with an empty event in the Liberian entertainment industry.